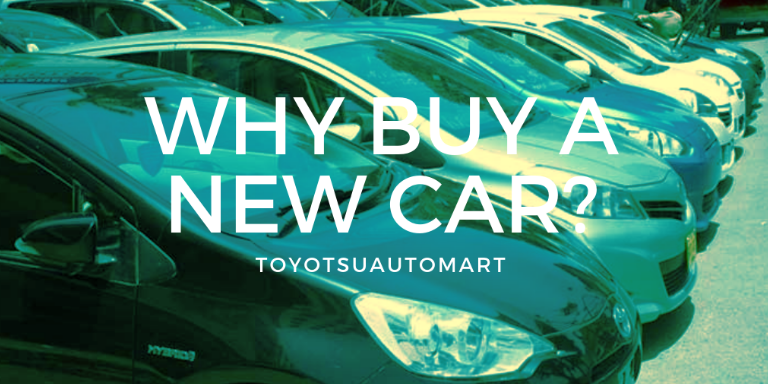 Pros and Cons of New or Used Cars in Kenya - Toyotsu Auto Mart Kenya. But the second-hand vehicle sector also remains very active and offers consumers quality equipment with undeniable privileges. As a result, you sometimes have trouble making your purchase decision. In view of the pros and cons of new and used vehicles, the acquisition of a new/used car turns out to be an optimal choice. New or Used Vehicle, a Real Dilemma? A New Used Car, the Ideal Compromise? Where to Find New Used Vehicles? A car directly out of factory costs more than a used model. Plus, you pay more money for its insurance. Nevertheless, you enjoy comfortable equipment whose maintenance requires less financial constraints. A second-hand vehicle seduced by its price. But you can easily get second hand rolling equipment with a hidden defect. An inventory of the pros and cons of these two types of vehicles will guide your choice. The purchaser of a new vehicle enjoys many privileges. However, this choice also has some limitations to take into account before a final decision. When you opt for a new car, you make a completely personalized choice. You can choose the colors of its body and the material of the seats that suit you. In addition, you benefit from the latest technologies and several energy alternatives. A factory-built vehicle offers you impeccable comfort. Moreover, it almost never presents a hidden defect. On another level, this type of car stands out for its resistance and you can exploit it for many years. You get an estimate of the overhaul costs upon the acquisition of your vehicle and the technical inspection is not required for you during the first 3 years. The manufacturer’s warranty covers any early replacement of spare parts. In addition, a new car consumes less fuel compared to a used model. Finally, you can easily resell such a car after a few years of use. Its price remains quite high. Generally, the financing of a new car requires the use of a loan or other payment terms that generate additional fees on a monthly basis. In addition, the insurance of a new vehicle costs more. Indeed, you must subscribe to insurance “all risks” for this type of car. This will cause you to shell out more money. You also have the obligation to maintain your equipment with partner service providers throughout the warranty period. Finally, a new vehicle has an accelerated loss of value. Generally, it depreciates up to 50% during the first three years following its acquisition. The main benefit of certified pre owned cars in kenya, remains its price. However, the cost of maintenance can quickly fly away if you come across a vehicle with make-up defects. You pay less for the acquisition of a used car. Indeed, you enjoy an interesting discount that can reach 40% depending on the age of the selected gear. You will be able to obtain the material of your dream at a reduced price and benefit from an ideal comfort. Generally, dealers of used equipment like Toyotsu Auto Mart offer very interesting conditions. They offer quite attractive credits. They negotiate for you a flat rate car insurance . They do not hesitate to take care of the maintenance of the vehicle for a limited period. In all cases, you spend less on insurance for the second-hand car. 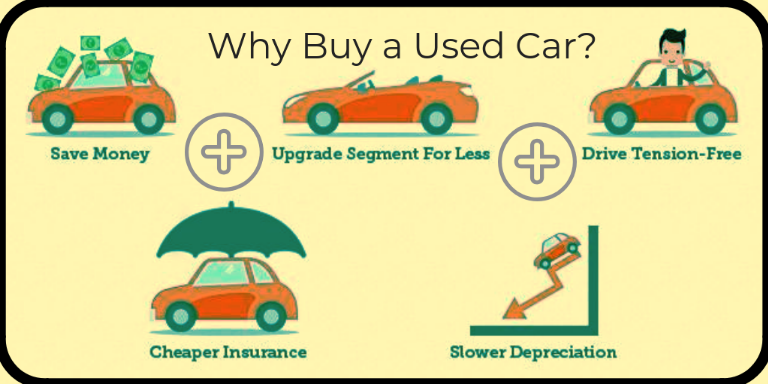 In addition, a used car loses its value less quickly. With a little maintenance, you can very well sell it after a few months of use. This choice deprives you of the manufacturer’s warranty. In addition, you do not have a precise and exhaustive point on the defects of a used car. Even if you bring in your mechanic, some hidden defects may be revealed after several months of use. This exposes you to more or less important car maintenance in kenya costs depending on the age of the vehicle. You will not be able to buy a fully customized second hand gear to your liking. Generally, you are satisfied with the best offer available. Another limitation is the difficulty of estimating the fair price of the car you acquire. You may well think you are doing a great job and you end up with a wreck a few months later. Given the advantages and disadvantages of new and used vehicles, the right decision is to acquire new car to protect yourself from hidden defects and avoid high maintenance costs. But, this requires a substantial budget. 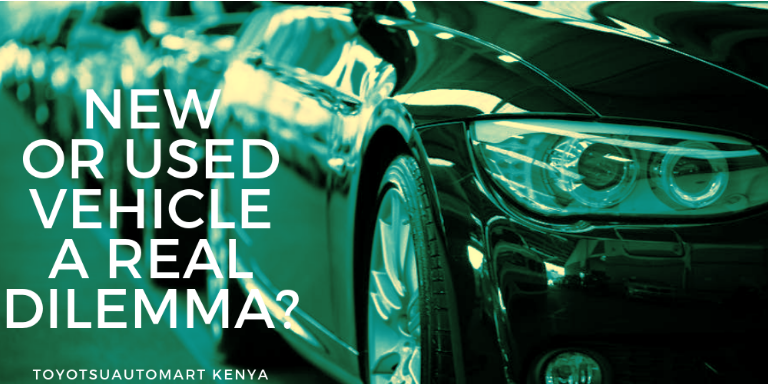 The best alternative remains the purchase of a used car in kenya, also called a recently used vehicle. This choice represents an excellent compromise. In this case, you combine the advantages of a new car and those of a used model. They stand out by seniority less than 18 months. They display an insignificant mileage and are resold a few months after their acquisition. Generally, they come from several sources. Indeed, employees and employees of vehicle manufacturers buy their cars at preferential prices with substantial discounts. They do not hesitate to give them up after a short time of exploitation in order to realize an interesting added value. In addition, new used cars also come from rental vehicles whose lessor had to separate after 18 months of use. They are then on the second-hand market at preferential prices. 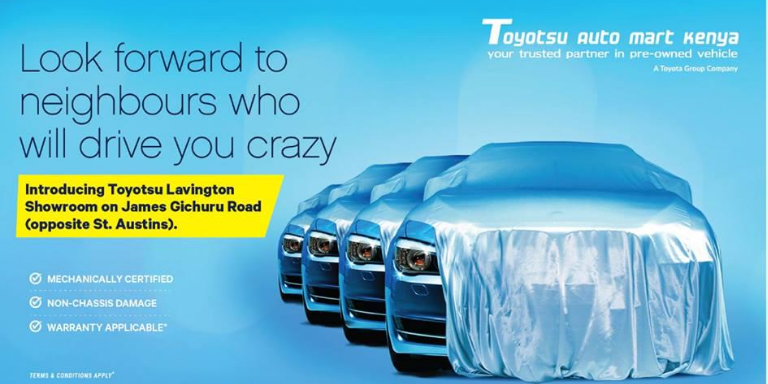 So for example, acquire many best selling japanese used cars for sale in Kenya at great rates. You benefit from several undeniable advantages. New used cars impress with an impeccable physical presentation. The paint, the tires and the seats still retain a remarkable design. In addition, the engine responds correctly and keeps all its power. With such a vehicle, you reduce the risk of falling on equipment with hidden defects. In addition, it consumes less fuel and saves you money. For more details contact us today.